Austin famously suggested that gay rights demonstrations should become a street party, leading to the first Mardi Gras in 1978. Ron Austin. Image: Ann-Marie Calilhanna. Veteran gay rights campaigner Ron Austin – who in 1978 first suggested the idea of holding a street party in Sydney, which led to Mardi Gras’ inception – has passed away, aged 90. Austin was an early member of the Campaign Against Moral Persecution (CAMP) and famously suggested that gay rights demonstrations should become a street party, leading to the first Mardi Gras in 1978. He also been affectionately referred to as the ‘Godfather of Mardi Gras’. “From the very first moment, I saw Mardi Gras as a celebration of happiness, of creativity, and of joyfulness,” Austin said during his life. He has been remembered fondly by friends and prominent figures throughout the LGBTI community, with tributes flowing on social media calling him a hero and a trailblazer. Fellow ’78er, Steve Warren, said Austin often “thought outside the box”. “When [our] protests were not gaining results, Ron came up with the idea of ‘a celebration of who we are’ and Mardi Gras was born,” he said. 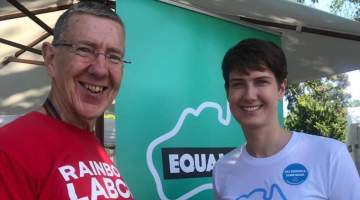 “No-one could have predicted where that first 1978 Mardi Gras would take us, but it led to positive change that continues to this day with the much celebrated Sydney Gay and Lesbian Mardi Gras. “Ron was very active in the early years of our community. He wasn’t afraid to speak out. Ron will be greatly missed by many 78ers and members of our community. A dedicated activist, Austin marched in the Mardi Gras Parade for decades. In 2014 Lord Mayor Clover Moore helped Austin celebrate his 85th birthday, where he was toasted and lauded for his leading role in the gay rights movement of the 1970s. The annual Mardi Gras award for ‘Most Fabulous Parade Entry’ is named in his honour. Very sad news has come through to us today. Mardi Gras 78er Ron Austin passed away this morning. 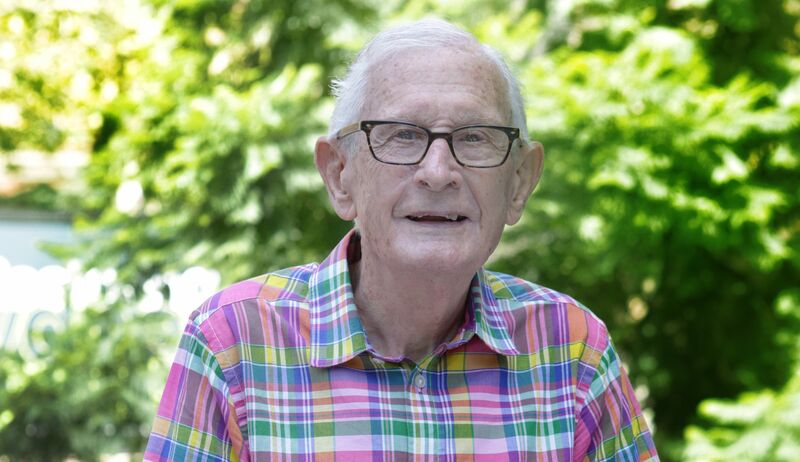 The activist who had the idea of holding the first Mardi Gras – the protest that Australia’s modern LGBTIQ rights movement and entire community owes so much to – has died.